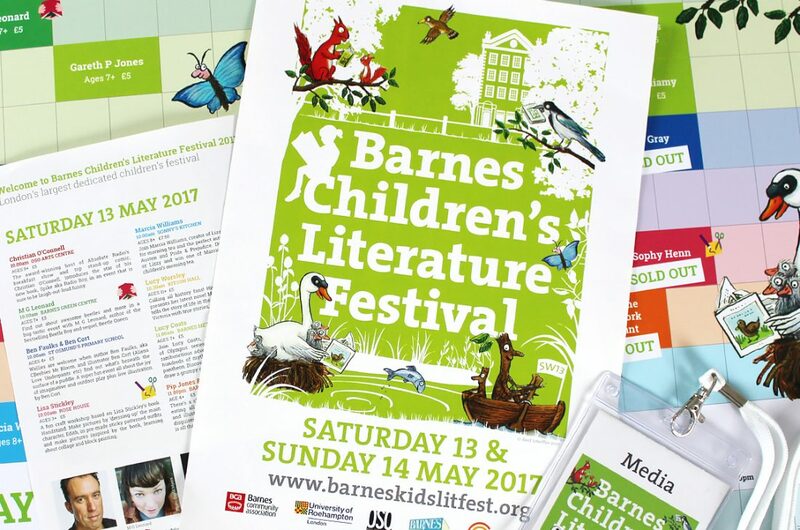 Barnes Children’s Literature Festival is London’s largest dedicated literature festival for children. 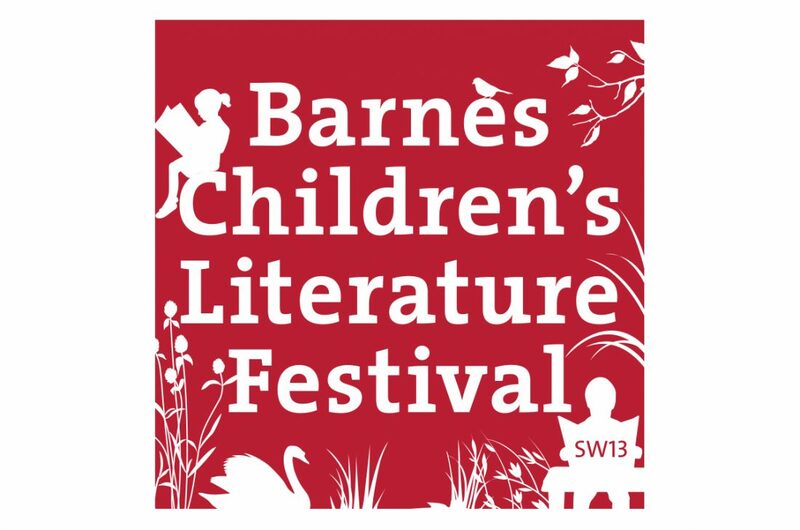 Set in the surrounds of beautiful Barnes pond, the festival is a family-friendly fun-filled-to-the-brim event starring some of children’s literature’s biggest and best known names. Back in 2015, the founder Amanda Brettagh’s brief was to illustrate the infamous Barnes pond scene and landmark buildings plus include the resident pair of swans if possible! We triumphantly accomplished this and more – setting the tone for the festival which has become a signature icon with followers in the local area, national and internationally. Each year the original logo has been re-freshed with a featured illustrators work for example Axel Sheffler in 2017. 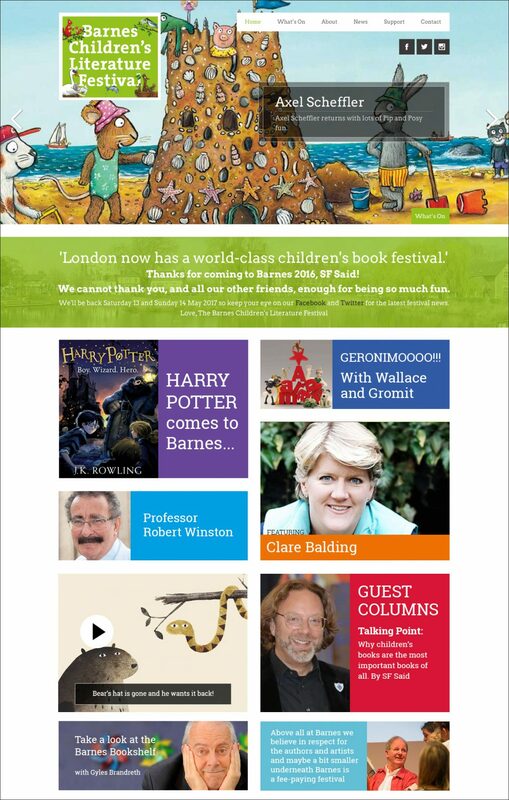 The festival’s website needed a bright, lively and dynamic feel to appeal to children and parents alike yet be simple to navigate through the 60+ events. The site also includes special event promotions, literary news feeds, guest columist’s posts and children’s reviews. Needless to say the site has grown somewhat organically over time as the festival has increased in size and complexity. Silent Deer has continued to produce all online, print and promotional material for 3 consceutive years and progressing full steam ahead into the forth. 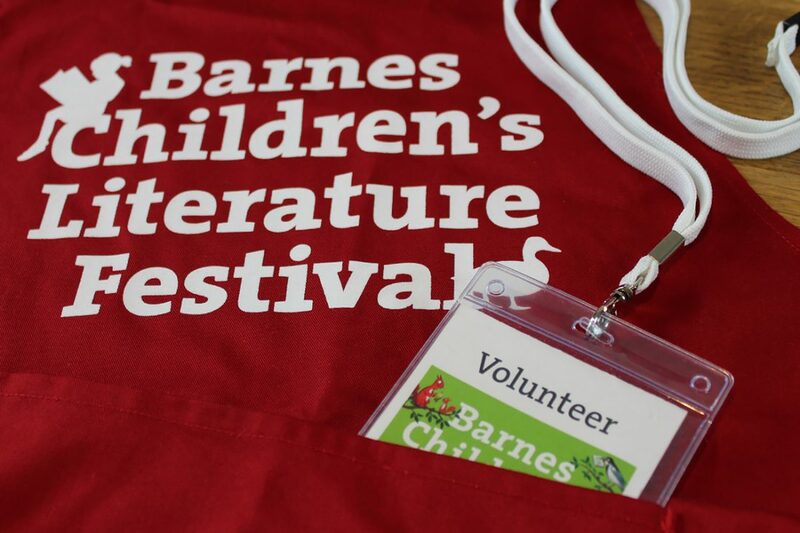 Now a two day event packed with a huge line-up of children’s authors and illustrators who all need promoting and listing, information packs for 150+ volunteers and media partners plus signage for all 10+ venues. Each year the items required range from programmes to pop-up stands, window decals to volunteers aprons.